I’ll start off with a little bit of background for those that don’t know me. I occasionally drive the Professional Awesome Evo, and in 2013, the first version of the car was wrecked at Road Atlanta. Wise decision or not, I still had a loan on the Evo and there was a significant balance still remaining at the time of the accident. The monthly payment was nothing to scoff at and therefore, I like to consider those years I spent paying off that loan as my time in the “Valley of the Poor.” It left me a changed man. I went in a naive money waster, I came out a tightwad. 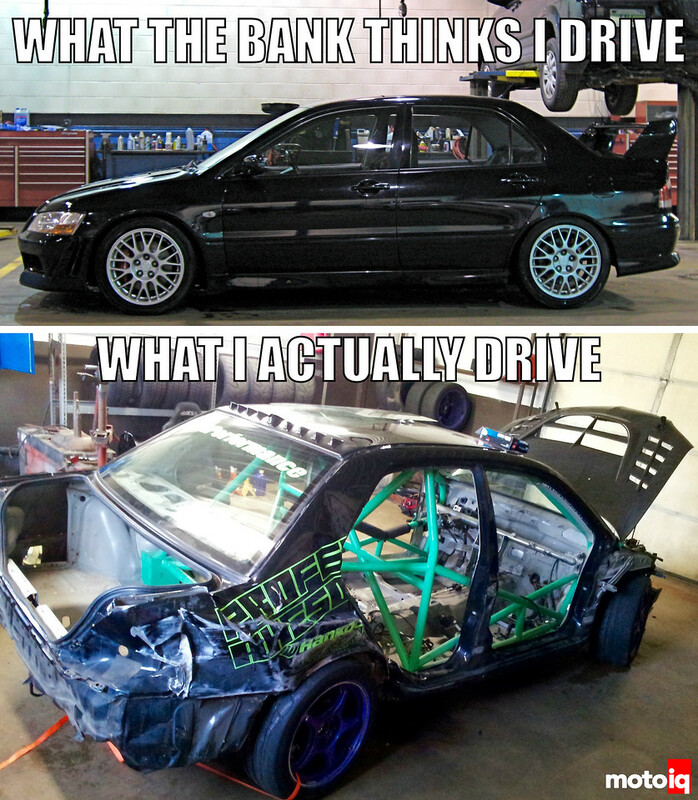 My local bank was kind enough to give me a loan on a 2001 Mitsubishi Evo VII, a car they were not able to value due to the minor detail that it wasn't technically legal to drive in the US. What did I do with their kindness and trust? I promptly took advantage of their leniency, turned the car into a racecar and then totaled it. They still don't know what happened, but it's paid off and the car was crushed into a little cube at the junkyard. For those familiar with the “Valley of the Poor,” I won't need to remind them that it doesn't involve owning a sports car. My daily driver, and only car, was and still is, a 2000 Honda Insight. My day job was and still is, working for sales commissions in a dying industry. Because of this, decent paychecks were and still are, never to be relied upon. If the Professional Awesome Evo ever goes to the track, it’s a very costly endeavor for the team, so it rarely goes unless absolutely necessary for testing or an event. This leaves me in a situation where I get very little track time to practice before being thrown behind the wheel of a car that I know without a doubt would crush a McLaren P1. Something had to change. I needed a car to track and this is where the girlfriend and her Miata came into play. Love can make you do very dumb things, but in my case, it opened up a door for me to be very pragmatic. Buying another car, while feasible, threatened my shoestring budget. Switching jobs for more pay, but losing my complete freedom and enough vacation to do Professional Awesome things was out of the question. Modifying an already owned car, that someone else paid the insurance on, hell, that sounded downright reasonable. Thanks honey! Now the car's priorities haven’t changed. The car must absolutely have as few compromises as possible in keeping with its first goal in life, being a fun street car. With that in mind, I put a plan in place to make the needed changes to make the car trackable. First on that list, keep myself alive in case of an accident where up becomes down. How would I do that? 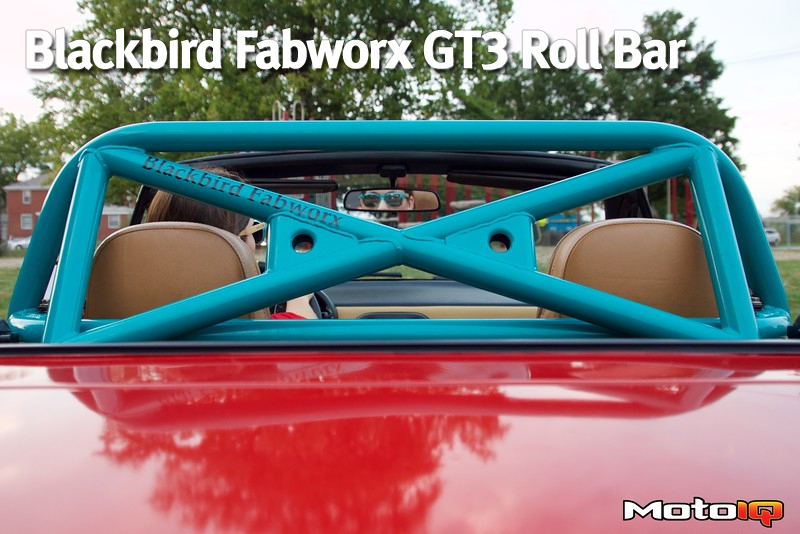 I called up Blackbird Fabworx and got a GT3 roll bar on its way! Moti Almagor is an enginerd of all trades and Blackbird Fabworx is the fruit of his labor. If you need help with aero, complete safety systems, suspension work, intake and exhaust systems and of course, beautiful, beautiful cage work, Blackbird Fabworx is who you need to call. Blackbird Fabworx is owned by Moti Almagor, a fine gentleman that has a borderline obsessive compulsive disorder when it comes to Mazda Miatas. He’s been working on Miatas for the past 17 years, turning that passion into a business when he started Blackbird Fabworx in 2011. 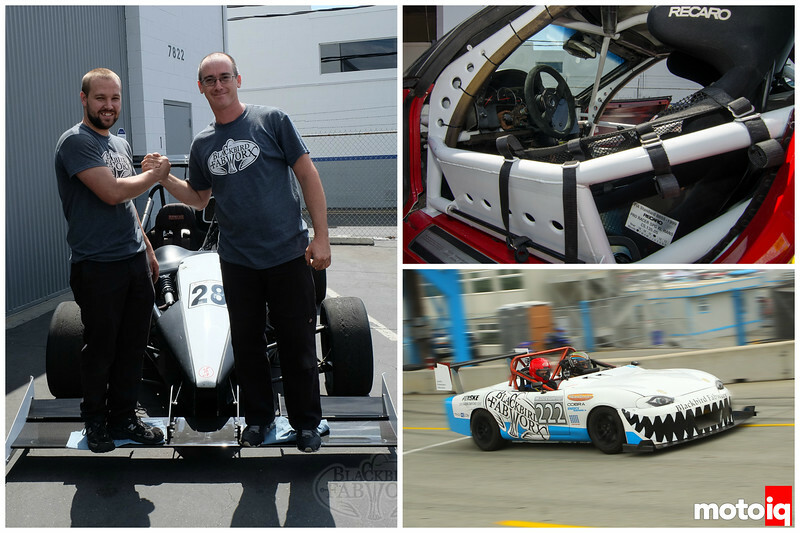 More than just Miatas now, Moti spends his days coming up with all sorts of crazy ideas and making them a reality. Recently he has designed and constructed a full aero kit for an Ariel Atom and also made one of the most complex cages you’ll ever see in a Corvette. Moti hasn’t forgotten his Miata roots though, Blackbird’s NB race Miata “Creampuff” looks like a cross between a Chaparral and Tomahawk cruise missile! The GT3 NB roll bar in all its glory. Beautifully powder coated and ready to go into my girlfriend's NA Miata. Why a NB roll bar for a NA? The better to work with glass rear windows my dear. Three and a Half Seconds!